Home ParentingPregnancy	Just How Different Can Two Pregnancies Be? The following is the first in a series of posts from Lil-Kid-Things contributor, Darcy, who is currently pregnant with her second child! I used to think pregnancy was fairly uneventful. Of course, that was before I even tried conceiving. I’m now in my second trimester of my second pregnancy and am surprised at some of the differences compared to my first one. Something tells me this is only the beginning! 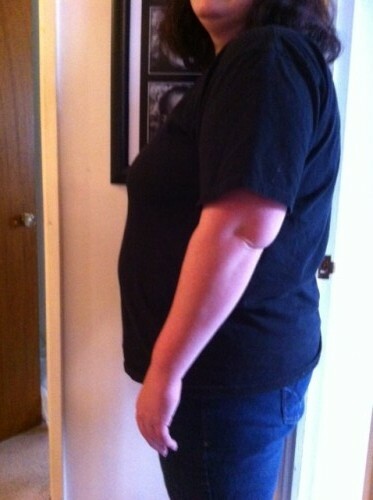 The biggest, most noticeable difference so far has been my bump! I didn’t really “pop” until nearly six months along with my first pregnancy, but this time… Well, at 12 weeks I couldn’t comfortably wear my regular jeans anymore. I feel more relaxed this time. I’m very exhausted since I have a 19 month old to chase after, but I have this sense of been there; done that. And thankfully, no gestational diabetes (yet)! I didn’t have morning (err, all day) sickness this time and I crave lots of salty and crunchy foods. Last time I couldn’t get enough Mexican food! Did you notice a lot of differences between your pregnancies – no matter how subtle? Darcy is a SAHM of one very curious and active toddler and expecting baby #2 in December 2012. When she’s not trying to locate lost toys or that one missing shoe, she’s sharing her thoughts about parenting and products over at Tales From the Nursery. She can also be found taking mental breaks on Facebook and on Twitter as @Syrana. I was lucky and didn’t experience many differences. The only one in all three was gestational diabetes with my third. 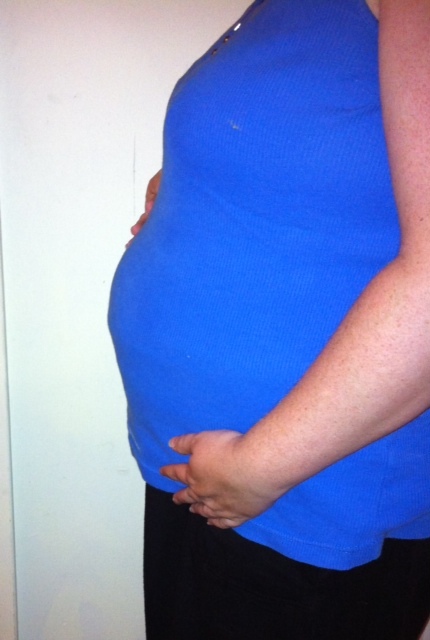 I noticed a huge difference, mostly in that I was totally relaxed with the 2nd pregnancy. I think I was so busy with my toddler, that I was distracted. Also, I completely popped out almost the minute I discovered I was pregnant with my second. You’ve heard of muscle memory? I think my tummy had pregnancy memory. I did not notice to many differences with either of my babies other than I knew I was going to have my daughter but with my son I had no clue I was Pregnant as I was never supposed to have another child after my first one so he is truly my Miracle BABY! !